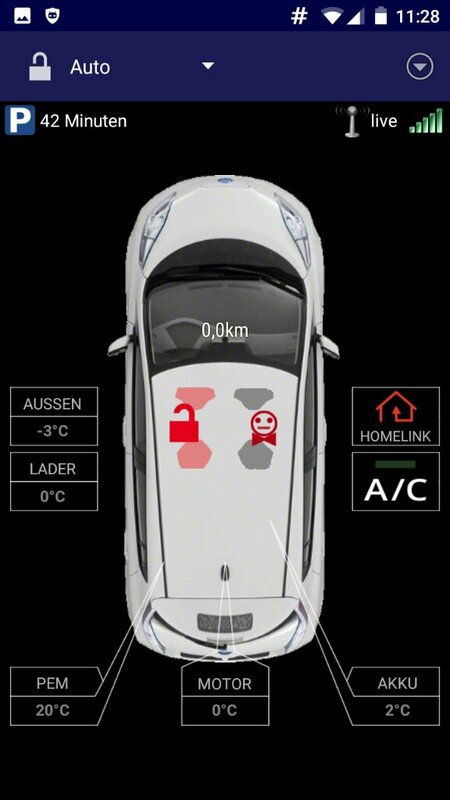 The Open Vehicle Monitoring System allows a user to connect to the CAN bus in a vehicle so that the user can view and monitor several parameters of vehicle operation, such as state of battery charge for an electric vehicle. The system includes hardware (a board that connects to the vehicle), a server, and mobile device software. Early work on this system was done by enthusiasts of the Tesla Roadster ; the system is also being adapted for use with the Nissan LEAF. OVMS has similarities to Nissan's proprietary CarWings system. There are several reasaons to prefer an open monitoring system above a propietary system. There are simple reasons, like "I bought an imported car and the SIM card in my Leaf does not work in my country" (so no way to connect to Nissans CarWings system). More concerned reasons, like "CarWings is buggy and can be hacked" (www.troyhunt.com/controlling-vehicle-features-of-nissan/). Or, as in my case, privacy concerns. I simply don't like the idea, that a third party (in this case Nissan) knows where I am and what I'm doing. 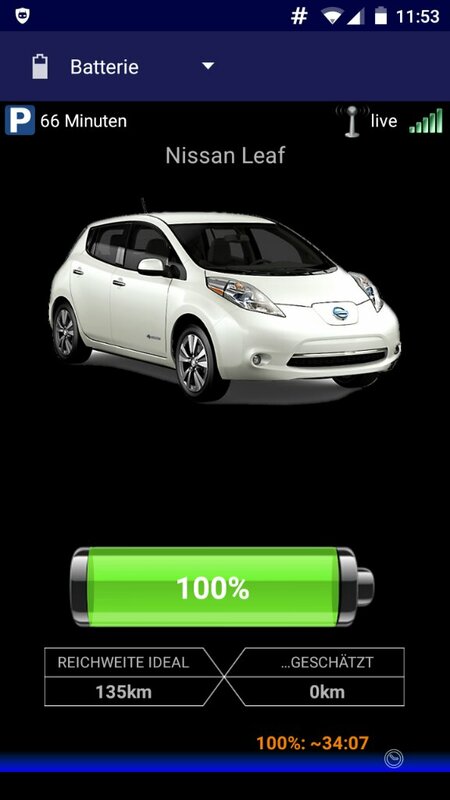 OVMS offers me a way on my Leaf to check the charging level of my battery and gives me the posibility to turn climate control on or off with my mobile device (Cyanogenmod, without Google stuff). 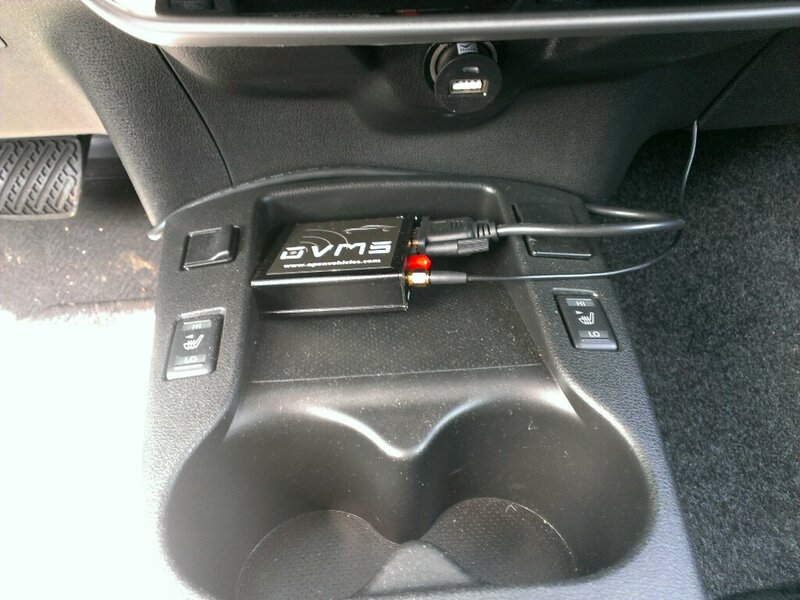 You will also need to order the PICT Programmer to put the OVMS Firmware on the OVMS device. Once you bought the hardware (shipping by fasttech from Hong Kong takes about two weeks to Europe), you can think about the software. You can use an open server or (better for privacy reasons) set up your own server. Once you can connect to a server, you need to connect your OVMS hardware with the server and connect your mobile device app with the server. And you will need a standard (large) size SIM card with 100 mB data flat per month especially for use in the OVMS device. 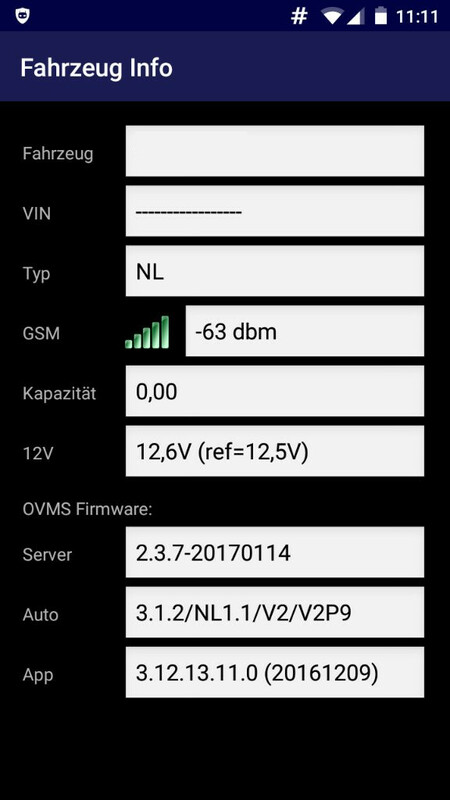 Now the OVMS device should communicate with your server. Last thing to do is to connect your smartphone app with your server. Again you can use the official app. I.E. the once from here. At the moment these apk won't run on Cyanogenmod without Google apps. But you can use my selfcompiled version from the bottom of this page. This works without Google apps. Configuration of the app should be straight forward. If you want to use the climate control function you need to compile a hex file yourself, use mine or get one from the official github. For the GEN 1 Leaf you need to do some soldering on the OVMS, GEN 2 works without soldering (carrott.org/blog/archives/158-OVMS-Nissan-Leaf-Remote-Climate-Control.html). You can control the heater by the "Home control" buttons in the app. Button 1 means "on". Button 2 means "off". Update: Since 01/2017 you can also use the A/C Button in the app. Also take a look at the settings on climate control in your Leaf. There are two options. Climate control during charging above 85% SOC or above 15% SOC. I spent some time with a friend's Gen 2 Nissan Leaf and got to the bottom of why the remote climate control works on some cars and not others. It turns out that if you have CARWINGS (now called NissanConnect) hardware in your car, the Nissan TCU module sends "Status" (0x4e) and "Idle" (0x86) messages on CAN frame 0x56e. These override the "CC On" (0x4e) message (0x4e) I'm sending with the OVMS and shut the car down. If you have a TCU module, the solution is to unplug it. I haven't noticed any problems doing this, I unplugged my TCU (on my Gen 1 I had to do this to access the hardware wakeup wiring) about 6 months ago. My friend has been going a few days in his Gen 2 with no problems. 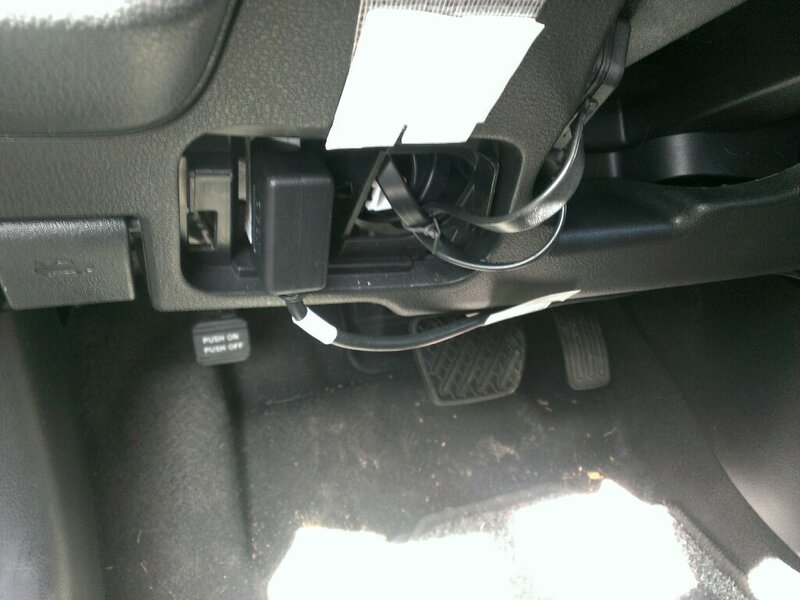 Unplugging isn't terribly difficult on a right hand drive car, you have to remove a panel above the driver's feet and then contort yourself in to press the release latch and pull out the big plug. I didn't bother unplugging the antenna and USB connection to the AV unit, and I coudln't work out how to release the entire module without taking more of the car apart. So I went straight ahead and unplugged my TCU. And what can I say ... It works!!!! This makes me a very happy camper as remote climate control the main reason why I startet this whole ONMS stuff. You can find my howto for left hand drive TCU unplugging here. and for the Android app and loads of perfect Twizy coding, "Dexter"
If you want to use the latest firmware (hex file) it is important to have the OVMS device configured at Module -> Notifications. It can't be "-", otherwise the data transfer won't work properly! where <VehicleID> is the same as in the app. When you turned on the heater (or A/C) remote, please turn off the heater (or A/C) remote before you start the car! Tom created a timer for the climate control :-) When the climate control is switched on per app, the airco turns itself of after 10 minutes. Tom also made the temperature display (outside, in the car and battery) more accurate. The new hex files are below. This is a "developer" version, but everything works for me.